Remember, in high school chemistry class when you found yourself thinking, “when will I ever use this stuff in my life?” (unless, of course, you always dreamed of becoming a chemist). Well, once you have become hooked on pottery and ceramics, you will probably find yourself delving into ceramic glaze chemistry hoping to create the perfect glaze surface. Your high school chemistry teacher was right! This stuff is important! Learning how different materials contribute to glazes and clay bodies is very important in expanding your abilities as a ceramic artist. Whether you would like to develop a classic Shino glaze recipe for a teabowl, or you want to create a lichen glaze on a ceramic sculpture, understanding how ceramic materials work together for various results is one of the most important aspects of ceramics. So here we’ve gathered a bunch of articles and information on glaze chemistry to help you understand this incredibly complex and fascinating subject. So, what is ceramic glaze anyway? In Clay: A Studio Handbook, Vince Pitelka defines a ceramic glaze as a coating of powdered ceramic materials, usually prepared and applied in water suspension, which melts smooth and bonds to clay surface in glaze firing. But understanding how and why those materials melt and bond to your piece is crucial to being able to express yourself as a ceramic artist. If you’ve been wondering how to make ceramic glazes, we have everything from glaze mixing 101 to in-depth articles on how to successfully fire crystalline glazes. Looking for a red glaze recipe? Did you know that red is one of the hardest colors to create in ceramics? But no worries! Dave Finklenburg’s article on red pottery glazes will take the guesswork out of it and help you find the perfect red for you! 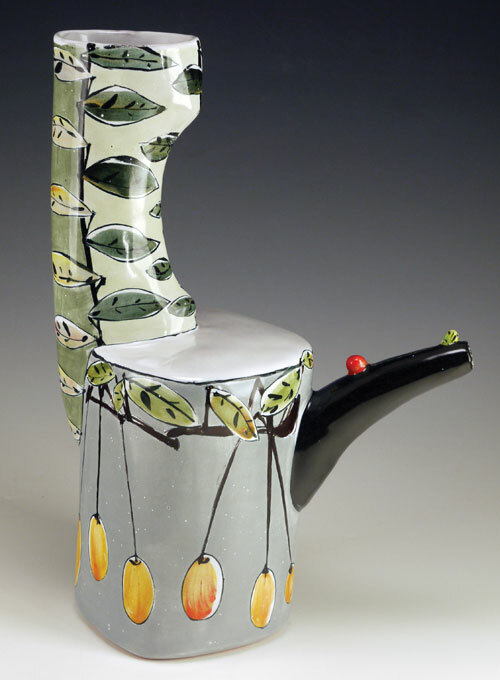 And those types of articles are what you’ll find in abundance on Ceramic Arts Daily. So dive in and master glaze chemistry!